Members of the Guiding Mothers of St. Marys Ohio Child Conservation League are pictured with new glider chairs the group donated for the ambulatory surgery center at Joint Township District Hospital. 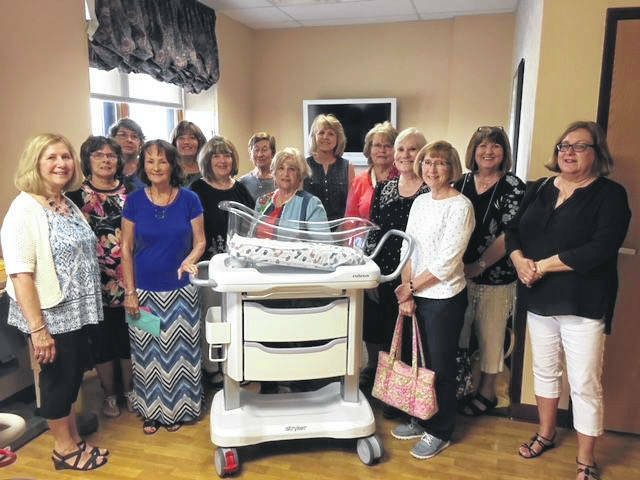 Members of the Guiding Mothers of St. Marys Ohio Child Conservation League are pictured with a Nara bassinette the group donated for the birthing center at Joint Township District Hospital. 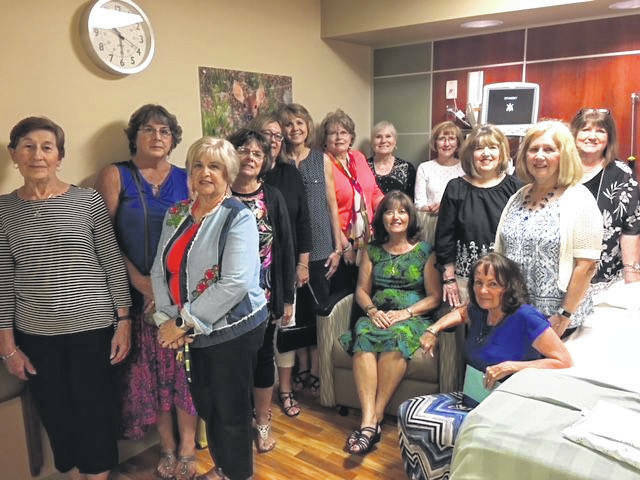 ST. MARYS — The Guiding Mothers of St. Marys Ohio Child Conservation League recently made a donation of more than $9,000 to the Joint Township District Memorial Hospital Foundation for the purchase of a Nara bassinette for the hospital’s birthing center. The donation will also provide for the purchase of two new glider chairs for the ambulatory surgery center. Guiding Mothers is a local league of the state Ohio Child Conservation League whose purpose is to promote family life, moral and spiritual values, education, and physical and mental health. The state organization was organized in 1918 and the Guiding Mothers League was founded in 1964. One of the main endeavors of the Child Conservation League is philanthropic causes. One such project is Toyland, which was established approximately 40 years ago with the purpose of providing toys for pediatric hospital patients. https://www.limaohio.com/wp-content/uploads/sites/54/2018/05/web1_Group-with-Glider-OCCL-1.jpgMembers of the Guiding Mothers of St. Marys Ohio Child Conservation League are pictured with new glider chairs the group donated for the ambulatory surgery center at Joint Township District Hospital. https://www.limaohio.com/wp-content/uploads/sites/54/2018/05/web1_Group-with-Bassinett-OCCL-1.jpgMembers of the Guiding Mothers of St. Marys Ohio Child Conservation League are pictured with a Nara bassinette the group donated for the birthing center at Joint Township District Hospital.